This is one of the easiest recipes in the world. 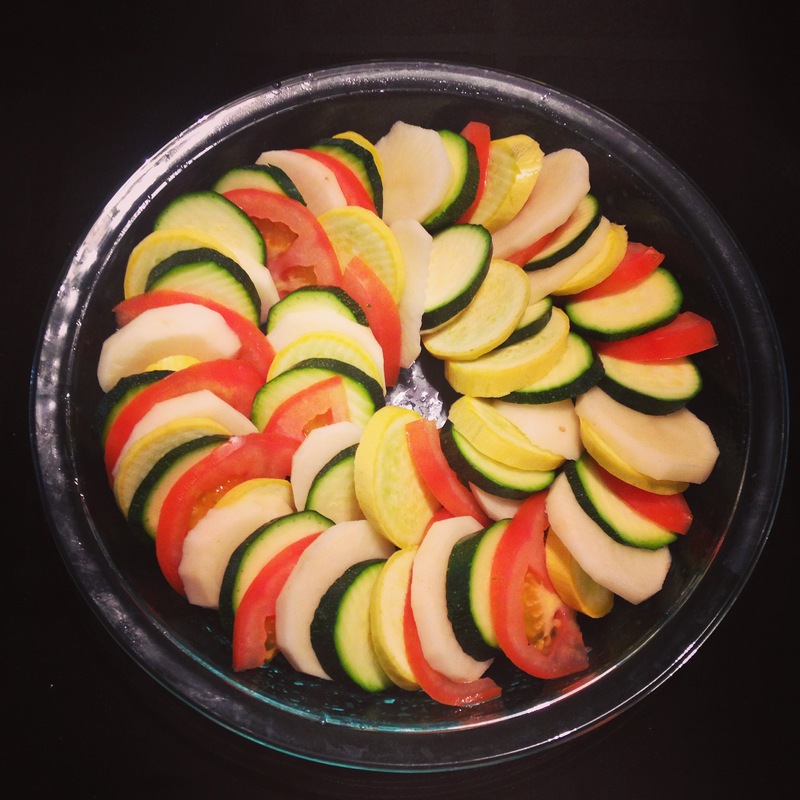 Slice up one potato, tomato, zucchini and yellow squash. Preheat the oven to 400 degrees. Alternate the slices in a glass dish and sprinkle with rosemary, thyme, salt, and pepper. Cover with foil and bake for 30 minutes. Remove foil and back for an additional 15 minutes. This was our entire dinner but you could always add a side of chicken or a green salad! So that’s dinner with Mr. Layland & Me! We’ve been traveling quite a bit this summer which has been great but it’s wrecked havoc on eating well and exercising. Now that we’re back to our regular routine on the surface on the sun – we’re going clean! 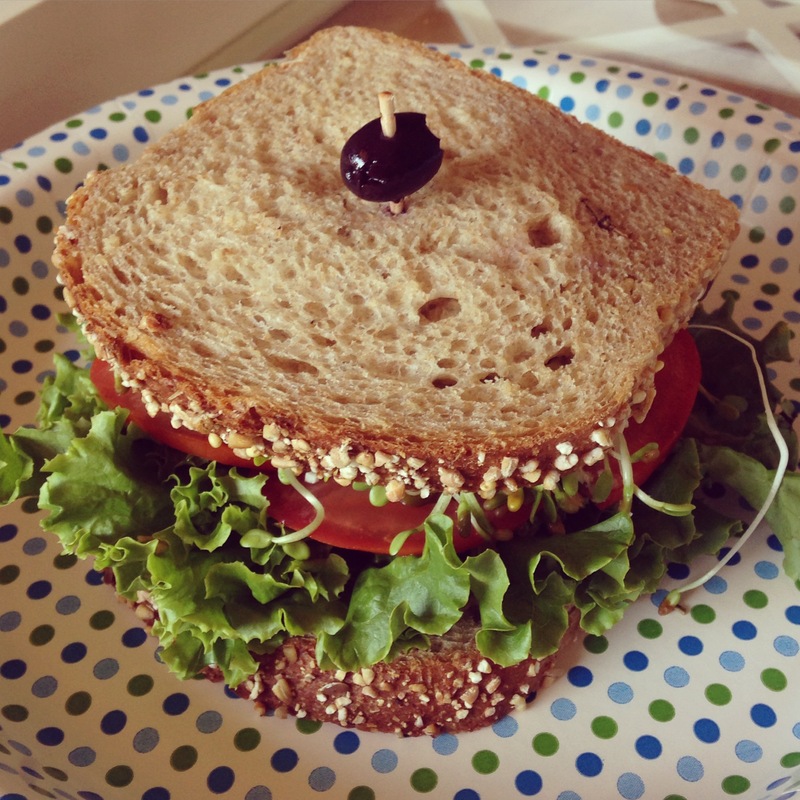 This sandwich is stacked high with all sorts of good-for-you veggies! Spread 1/2 an avocado over both slices of bread then stack up one side with lettuce, tomato, alfalfa sprouts, pickles, and a few strips of delicious rosemary grilled chicken & you’re set to go! So that’s lunch with Mr.Layland & Me! I promise, from the depths of my brownie-loving heart, that this recipe makes for some of THE best and fudgiest brownies you’ll ever have. We even put frosting on the top but I never got a picture of the final product because we ate them that fast. Beyond the black beans it gets a little weirder – believe it or not – you add oats and honey and all sorts of non-brownie-like ingredients. Don’t knock it ’till you try it! Preheat oven to 350 F. Combine all ingredients except for the chocolate chips into a food processor and blend it up. You might need to pause and scrape down the sides to make sure you get everything. Blend until smooth. Stir in the chips and pour into an 8×8 pan. Bake for 15-18 min. Make sure to blend it well! See? Super thick and fudgy! 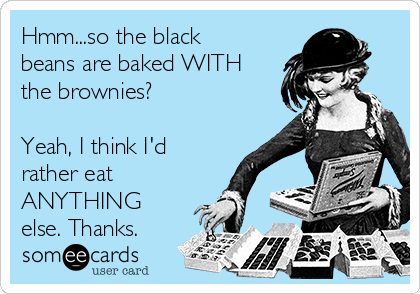 Once the brownies are out of the oven you have three choices: leave them plain, sprinkle the top with more chocolate chips and let them melt, or make delicious chocolate frosting and load it on! I know, obviously it’s nothing weird or super healthy – it’s just a taco without the tortilla. I was still surprised at how yummy these were! They’re super easy to make (as easy as tacos) and just a touch healthier! 1. Brown the hamburger adding cumin, red pepper & garlic. 2. 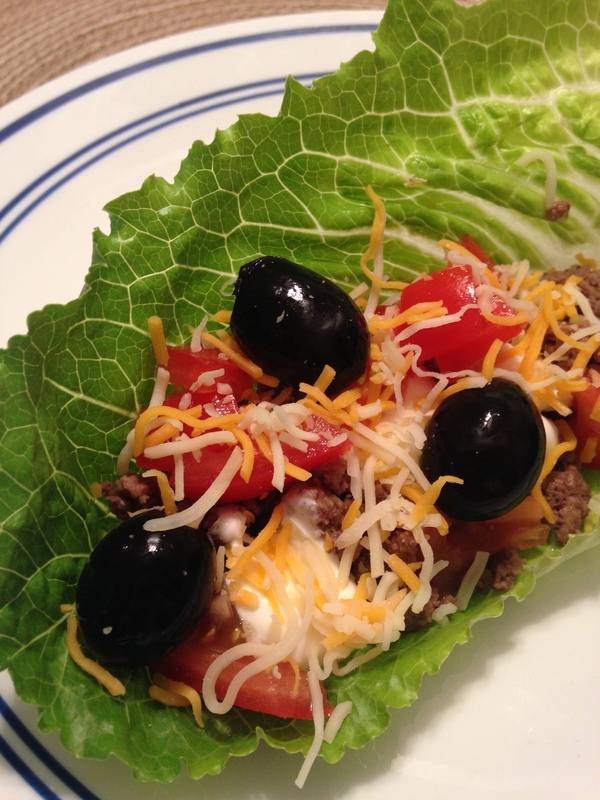 Toss the taco meat into a romaine lettuce leaf and top with tomatoes, olives, sour cream, cheese & salsa! See? Easy! It took me all of 10 minutes to have everything ready so it’s a fantastically quick dinner if you’re scrambling for time. You can add avocado or rice or even throw in some quinoa to the meat to bulk it up. It’s all up to you! It just looks like mud…blueberry flavored mud, doesn’t it? While it may look a little weird it’s actually really delicious! 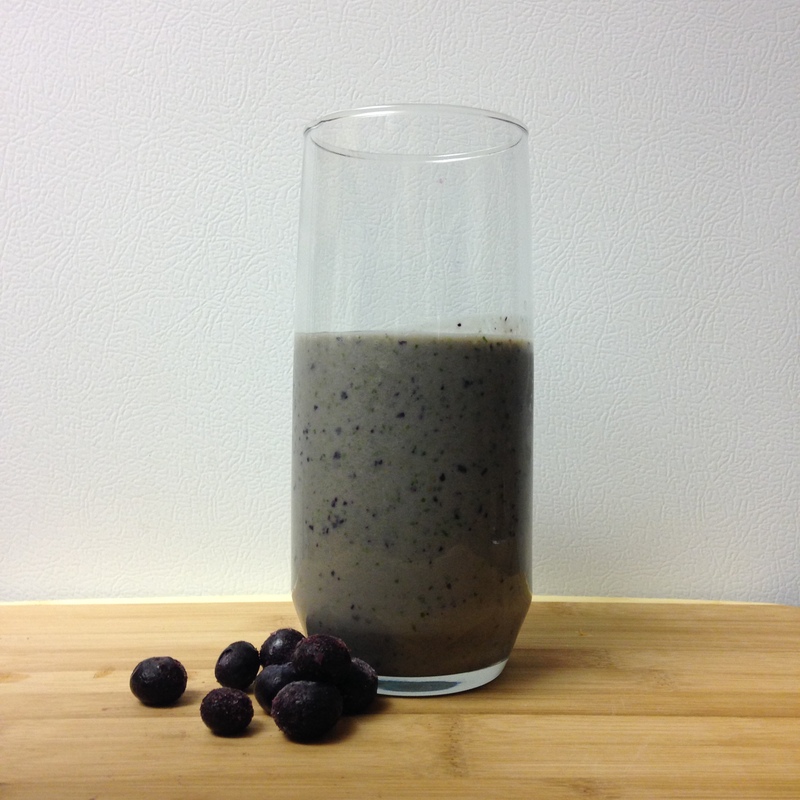 The combination of blueberries and banana is super interesting and I ended up loving it. 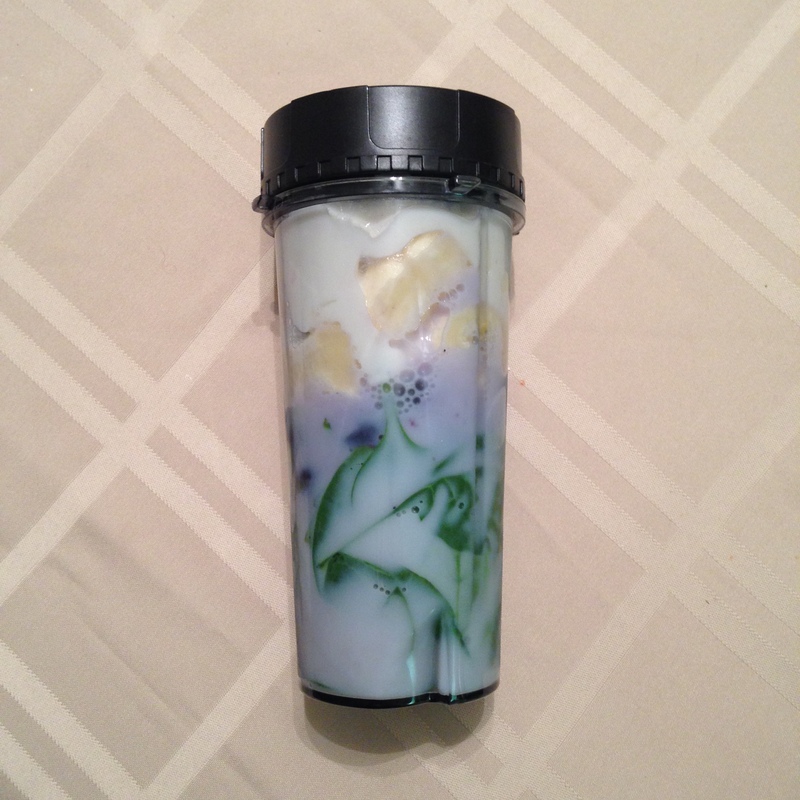 Obviously you can add or take out whatever you want for this smoothie – totally up to you – but here is the recipe I made the other morning. If you end up making it and changing something let me know so I can try it too! Blend it up for 30 seconds and there you have it, your very own mud smoothie 🙂 You could always add protein powder or chia seeds for an extra kick. Enjoy! Just trust me. 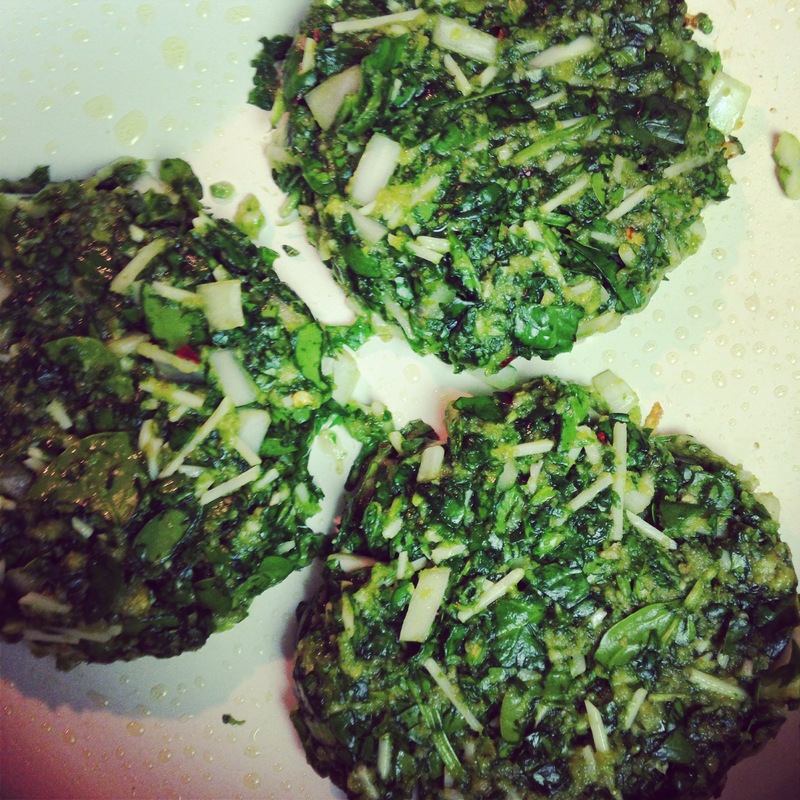 While this meal has spinach as the main ingredient, it’s surprisingly delicious! 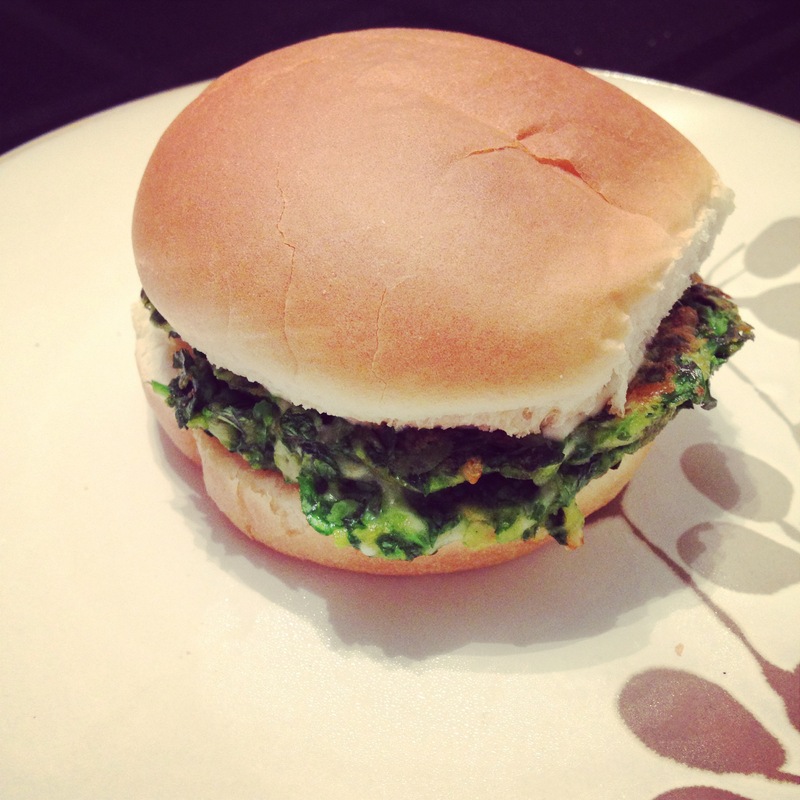 I’ve put my fair share of spinach into smoothies and know you can’t really taste a huge difference but I was still a little skeptical about making these burgers. Let me just say, this recipe made 5 burgers — and we ate them all! I found the recipe on this blog but I made a few changes. When I got it all mixed together it didn’t seem moist enough. Mr. Layland suggested we add another egg, so we did! Adding the egg was perfect and the patties held together really well in the pan. Blend spinach until shredded. Add other ingredients and stir to combine. Shape into patties and cook on the stove over medium high heat (about 5 minutes each side) until firm and golden. Enjoy!!! This delicious organic juice is actually all thanks to Mr. Layland! I know, I’m a lucky girl 🙂 Ever since we got our Ninja at Christmas we’ve been going smoothie crazy! I usually put yogurt and milk in mine…but I have to say I’m still a huge fan of this juice blend Mr. Layland invented. 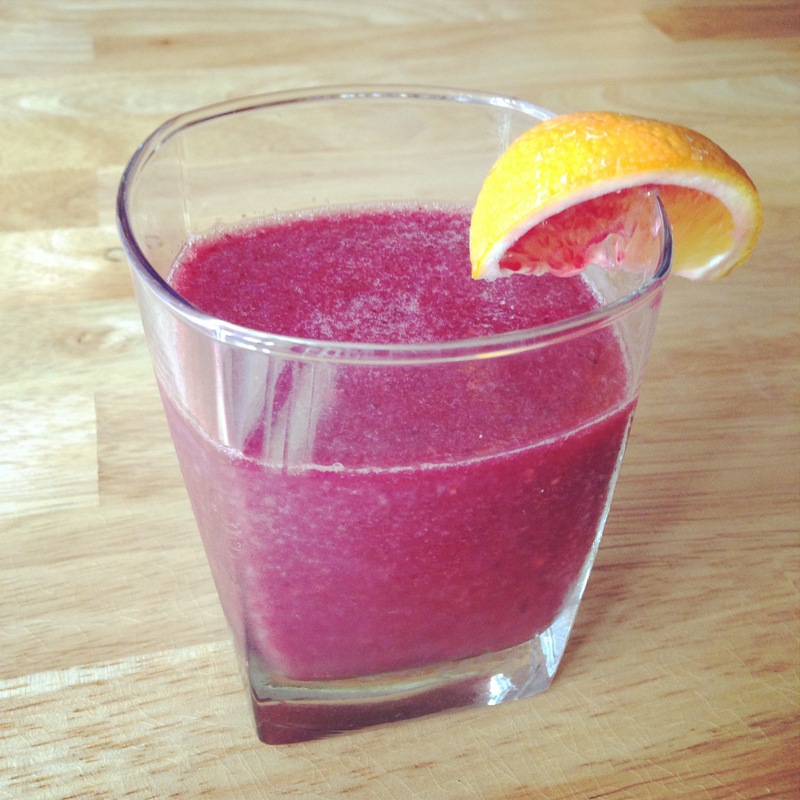 Put all the contents into the blender and whip it up! Keep in mind this is just a juice and therefore won’t make for a substantial meal. I would suggest substituting it for your typical orange juice at breakfast!